PET is the preferred modality to detect atherosclerotic plaque inflammation because it is the most sensitive and quantitative molecular imaging modality. For plaque imaging, sensitivity and resolution become particularly important parameters as lesions are small and sparse. With its sub mm spatial resolution and sensitivity of more than 10%, the β-CUBE is an ideal system to visualize these lesions. In this study, a 18F-RESCA labeled VCAM-1 specific nanobody was used to visualize atherosclerotic plaques. 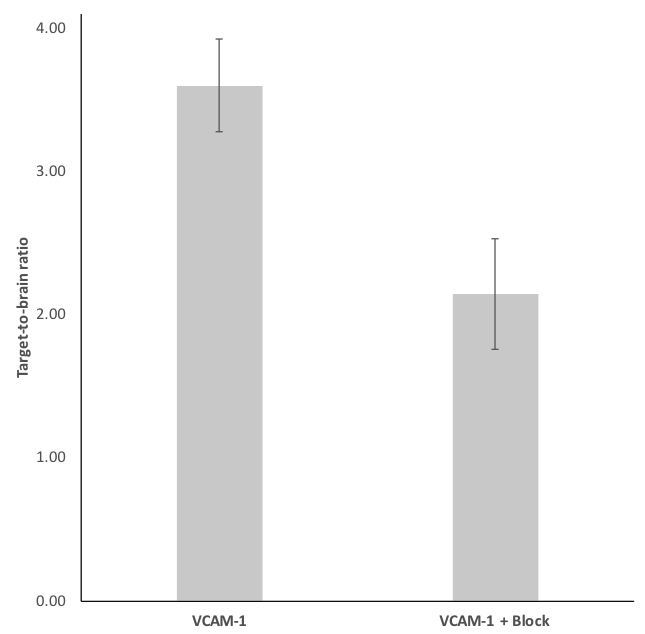 It was demonstrated that the atherosclerotic lesions could be detected and a significant increase in uptake was observed in the test group (VCAM-1) compared to the control animals (VCAM-1 + block). This work was also presented at the EMIM conference 2018 in San Sebastian.